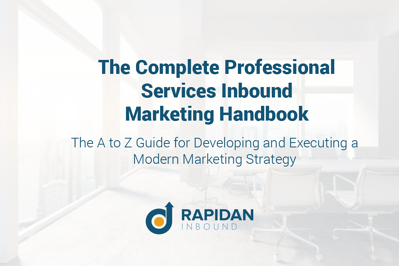 Get the A to Z Guide to develop and execute a modern professional services marketing strategy. Inbound marketing matches the way professional services buyers buy. But competition for business is fierce. If you want to win the modern professional services marketing game, this eBook is for you. It gives you everything you need to develop and execute a winning inbound marketing strategy. This is your ultimate guide to growing your professional services business. Download your eBook immediately by completing the form.